This is where I would complain about writing the wrong year on my checks for the next few months, but since this is 2018 I don’t write checks for anything anymore. Well, that’s not entirely true. I write exactly one check per year, because my HOA doesn’t accept their dues any other way. I made my first resolutions post back in 2002, where I proudly stated that I didn’t need resolutions. 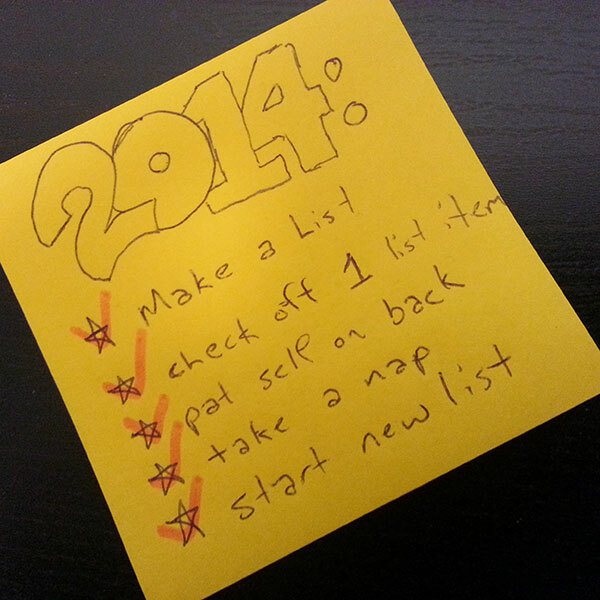 I then followed that by making resolutions posts every year until 2014. 2015, 2016, and 2017 I missed, because in the last three years I was more apt to post about why I wasn’t posting than to post anything of any real substance. Over the years I see that I tend to make the same resolutions over and over. I suspect a lot of people do. I usually resolve to exercise more or eat better, or both, with a goal of not getting fat or to stop being fat, and since I am fat I clearly have failed at this for 16 years. And when I say I am fat, this isn’t an anti-body-positivity thing. I would be perfectly happy being fat if I was happy and also fat. But as I have gotten heavier and out of shape, I have become less happy. I am uncomfortable sitting sometimes. I have trouble tying my shoes because of the density of my gut. Moving around is exhausting. And as I get older, my weight is probably contributing to other health issues that are cropping up. So I will once again resolve to eat better and move more, to lose weight and be healthier. I also often resolve to read more. Oddly, I’ve been reading more, especially since my company moved to Buckhead and I have a 90 minute commute, one way. I take the bus because I hate driving in traffic, and this lets me read. I still have a backlog of literally hundreds of books. I wish I was a speed reader, but I am not. Progress though. I am reading. And I usually resolve to write more, which I am resolving again, because I miss it. I miss emptying my brain on to the internet where no one reads it. I’m not even going to share this stuff on social media. This is for me… and the poor unfortunates who stumble upon it. There were also years where I declared I was done with PC games, followed by years where I declared I was back to PC games. Now, I just want to play games, on any platform – PC, console, tabletop – just more games. So that’s where 2018 begins. Resolving the same resolutions of the past, and resolving to resolve them better this time. And this year I’ll be employing one of these in an effort to plan and document my progress. Let’s make this year a good one. I noticed the other day that in 2015 I had only written one blog entry. Normally I would have an excuse that I had been writing elsewhere, but I haven’t. Most of my writing projects have puttered out. First and foremost, I stopped doing reviews for Shakefire. The main reason I stopped was because of the garbage I was being given to review. I don’t blame the guy running the site, he has things that need to be reviewed, and since I have a regular day job I can’t go see movie screenings in the middle of the day, so instead I get mailed a pile of DVDs and CDs. While the music was of varying quality, and I even discovered a new band or two, the movies were almost all terrible. The lowest budget of horror films. It is depressing to always review garbage. So I quit. Next, for “reasons”, the Man vs Wife series of game reviews I was doing petered out. I also tried writing some fitness blog type stuff. But I’m not very fit (yet) and what I wrote was trash. There are various projects I have by noodling with, but I’ve been down on fiction writing ever since I pushed myself to “win” NaNoWriMo a couple years ago. Winning involved me just puking out the most insipid drivel I’ve ever written and soured me on the novel and on writing. All that leads me to my new effort to get back into writing. This new writing will include blogs and other things, but all of it will result in a daily word total that I will put up on The Magic Spreadsheet. What is The Magic Spreadsheet? Well, it’s this. That’s a link to a Facebook group where you can find the link to the latest spreadsheet. Basically, it is a tool to try to encourage writing every day. To join, you just open the spreadsheet (it is a Google Doc) and find a free line on the appropriate page (the first sheet includes instructions on how to find the right page) and put your name on it. Then you write, and you come back and put your totals in. You earn points, both for how much you writer and for how long your unbroken chain of daily writing is. When you have enough points you can level up, which allows you to get more points for writing more. At the lowest level you need only to write 250 words a day. That’s just a couple paragraphs. I mean, this blog post is over 700 words. As of this writing, I am on my 3rd day. Hopefully I can stick with this. In addition to the Magic Spreadsheet, I’m also trying to put together a schedule for some other projects I have, things I need to do on a regular or semi-regular basis, most of which involve writing, but some of which involve drawing, and some involve speaking, and some involve music, and some involve exercise. Oh, exercise. I’m back on the 5BX bandwagon. If you are reading this and it intrigues you and you are a woman, there is XBX for you. I have finished the first chart and moved to the second. The full push-ups of the second chart are proving to be more difficult, so my progress has slowed. With exercise goes “diet”, and by that I don’t mean “doing some fad binge thing to try to lose weight fast and then gain it all back when I quit”. What I mean is making small changes to my diet to include better foods. More vegetables, less junk. More water, less soda. And both the exercise and diet are being spurred on by the fact that I’m going on a cruise the first week of July, and I would like to be in much better shape by then. All of this comes on the heels of recently reading Surprisingly…Unstuck. I’ve read a few self help / motivation books before, but this one has to be one of the cleanest presentations of simple information that is bound to work for everyone. Most of it is exceedingly simple, but also the sort of things you might not think about on your own until someone points them out. In fact, it’s so simple that the book gets a bit repetitive at the end. Still very worth reading. So, that’s it for now. I’m going to try to be back here more often, if for no other reason that to keep a log of things I’m doing for myself and to point the five people who might be reading my blog to other projects of mine as I work on them. I think that’s a good set of things to resolve to do. I wanted to include something about publishing a piece of writing, but I really need to just get down the habit of writing first. Perhaps at the mid-year 4th of July update on my progress and course correction I will feel like adding it in. The title is to be read with the punctuation. I wasn’t going to write a kick-off Happy New Year post, but then I thought about the fact that I’ve done one every year since 2002, so I couldn’t just let it go. I was looking back at last year’s post. I don’t think I was terribly far off for predictions of how the political arena would turn out. While I am thrilled at some of the people who got turned out on the street, I also think the people replacing them are still politicians and have no interest in actually making things better for everyone. I was also completely wrong. There was an Apocalypse in 2012, but it was a personal one, and it happened just after Thanksgiving with my father’s passing. I never imagined I would be 38 and parentless. That combined with a number of other things is why my resolutions will be so simple this year. There are two. First, I resolve to write every day. It is so generic and simple. I am giving myself every possible chance to succeed. Second, I resolve. 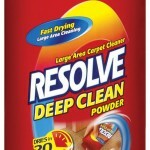 Like the title of this post, that is meant to be read with the punctuation, “I resolve, period”. I’m going to work on planning things less and doing things more. The problem with planning is that you can feel accomplishment when you plan. 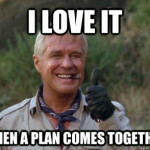 You finish the plan, it feels good and then… you never get started. So, less planning, more starting. And that starts today… see you later… I’ve got stuff to write. In yesterday’s post I said that City of Heroes was “inspiring”. But what did I mean by that? Obviously, as linked in that post, it drove me to create a character who wasn’t a hero, just a reporter who wrote about heroes: Calvin Meeks and the Front Page. But it also heralded my first serious foray into fan fiction. Sure, I’d written things about my characters in EverQuest, but those were just short stories, a few pages. City of Heroes inspired me to actually write an entire outline of a book, a series of intertwining stories that culminated in a cohesive plot. 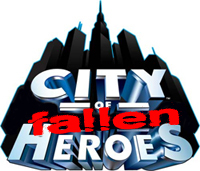 Sadly, when I allowed myself to get dragged off into other games, I also allowed myself to abandon that work, entitled City of Fallen Heroes. I dug through my office the other day and found most of the outline and a bunch of jotted mini plots for the chapters. I’m going to take a stab at finishing that, if I don’t get too depressed about the closing of the game. In the meantime, you can read the first three chapters, which I did complete and placed online way back when. To me, it was an interesting concept. Write a story set in the Rikti invasion, the event that happens just before the launch of the game, and write about all the heroes who don’t survive. I know from the start that none of my characters will make it. Some will die “on-screen” while others may survive to take the plunge with Hero 1 into the Rikti homeworld. Or maybe they won’t, because I have to say that I developed an unreasonable attachment to the main character of Chapter 2 and actually made changes to my outline at the time to account for it. Anyway, I hope you enjoy it and I hope I can churn out more worth reading. Over at the Broken Forum there is a thread for writing in which one of the community is running a series of writing exercises, the first of which is due today. The subject: a transformation. This is short-ish, and I want to revise it again. A couple of trips through editing and I think it could be pretty good. I scratched at an itch beneath my watch band, then turned my wrist to see that she was a half hour late. The dinner rush was still a little while off but the restaurant was busy with the employees setting up all the tables, switching out the afternoon settings for the evening finery. The waiter brought me another basket of rolls, my third, refilled my water yet again and asked me once more if I wanted to go ahead and order or if I wanted to wait. I told him I would wait. He rolled his eyes at me and walked away. Another thirty minutes, a basket of bread, and three glasses of water later, Clara finally stepped through the door. She was looking as good as ever. Her red hair was pulled into a loose pony tail, and it swayed across her back as she looked around the room. I shrank in my seat a little. I wanted to see her, but something made me want to hide, to run. My waiter tapped her on the shoulder and pointed in my direction. As she walked toward my table I became mesmerized by the measure of her steps. She was tall, nearly six feet, and the grey dress she wore was short enough to reveal her legs with every step. Each foot touched the ground in time with the steady slow beat of my heart. I exhaled as she reached the table. “Jeremy,” she said. It was stiff, not the friendly hello I’d been hoping for. We hadn’t spoken directly to each other in nearly ten days. Trading voicemails, emails and texts. I stood and pulled out her chair. She sat. There was a little smile as she did. I wiped a droplet of sweat from my brow and then took my own seat. My forehead bumped the table as I leaned forward to scratch an itch above my ankle. “Did you say something,” she asked. She’d been looking around the bar. It was getting more crowded. “Nevermind. I’ve just been here a while, drinking water and eating bread.” I indicated the empty basket, the half empty one, and the array of water glasses. She buried her nose in the menu. I glanced down at mine as well. I didn’t need to look as I was familiar with it, I’d even memorized the prices and which items were recommended as lighter fair for those watching their waistlines. The waiter approached and asked if we wanted to hear the specials. I shook my head and Clara launched directly into her order. “I’ll have the same.” He nodded and started to turn. “I’ll also take a steak, medium rare. No, make it rare. Can I have two of those?” He nodded again and wandered off. “I’ve just been trying to get back to normal.” My left shoulder itched, so I rubbed it through my shirt with the opposite hand. “Is everything so different since we went camping?” I tried to keep the pleading out of my voice but I didn’t succeed. “It’s all very different, Jeremy! We almost died!” People were looking at us as her voice raised, but then she breathed deeply and regained her composure. I was scratching at my thigh without thinking of it. My nerves were frazzled now and I was sure I was breaking out in hives. “It wasn’t that bad. We ran them off.” My voice trailed out at the end. She’d actually run them off, while I was busy holding the bandage. It had been sort of amazing, like she was some Amazon warrior princess or something. “And do what?” I slugged down another glass of water and the waiter brought me three more along with our salads. She busied herself with her salad. I could see she was trying to pick out all the right word, she was preparing a speech, or perhaps just recalling from memory she’s already written and practices. I mopped at my brow with my napkin and pushed my own salad aside. My stomach grumbled. I could smell the kitchen, the steaks being lightly cooked, just enough to warm them without browning. I swallowed the saliva that was pooling in my mouth. “I started biking to work.” She said it between bites. I ran my hands through my hair and kept tossing glances at the kitchen. I was starving but I also felt like I wanted to bolt. She was right. My hands almost didn’t stop moving. I scratched at the itches on my wrist, my thigh, my shoulder. I was using my feet to scratch at my shins. I rubbed one hand behind my ear and mopped my brow with my napkin again. I took in a deep slow breath and tried to calm myself. “What?” It came out higher pitched than I wanted. “It’s only been four weeks,” I snarled. “We almost died and you run off and find someone new,” I growled. I growled. Her eyes opened as wide as they would go, and then as I stood they opened wider. I could feel the low rumble in my throat as I rose. My fingernails dragged along the tablecloth. Clara’s mouth moved but no sound came out. “Pottery,” I grumbled through a mouth now full of extra teeth. I looked down at my hands and saw the elongated nails. Past them I saw my feet. My toes had ripped out of the end of my socks. I glanced toward the bar and caught my own reflection. My ears were pointed just slightly at the tips, my eyebrows were thicker and my hair was growing as I watched it. Hair was appearing at my wrists and my collar. I thought back, four weeks, to the camping trip, to the attack, to the bite on my arm. The waiter arrived with our dinner. I stared at him and the low rumble emanated from my throat again. He didn’t flinch. He looked bored. I ran out of the restaurant, howling into the night. You are the One, Neo. I have spent my entire life looking for you. So, a month ago, I wrote about wanting an eInk writing device. 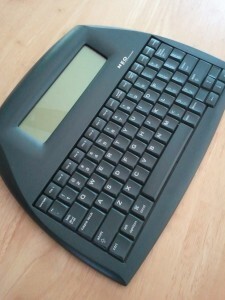 I then purchased an AlphaSmart NEO from a seller on eBay for around $40. The idea is to have a tool, with a good physical keyboard and free from distractions, to take with me anywhere and be able to write. As bizarre as this thing may look, it’s actually pretty incredible. Though the memory is limited (not really) and you get only 8 files, the total storage capacity is around 72,000 words, which is enough to win the NaNoWriMo and then some. The screen IS small, but this isn’t an editing tool, it’s a writing tool. Just write, edit later. Boot up time? Instant. It saves after every keystroke. And it runs over 700 hours on 3 AA batteries. I’ve only used it about 50 hours so far. I’ve hauled this thing with me to places like the Renaissance Festival, the back yard, the mall, work, the hospital. I get inspired, I bust it out and write. It helps that I’ve gotten into the habit of taking a small backpack with me most places. One of the coolest parts of this device is how you get the files off. For most other portable electronic devices these days, you’d either be saving to “the cloud” or you’d plug it in via USB and drag & drop the files. The NEO, however, is a fully functioning keyboard. When you want to get a file off, you plug it into your PC with a USB cable, the PC recognizes it as a keyboard, you open the program you want your file in (Word, Notepad, Google Docs, WordPress, etc), put the cursor in the correct field, select the file on the NEO and press Send. As an example, yesterday I had to take my father to the doctor. I also needed to write a review of a movie for Shakefire. I took the NEO with me and wrote the review while I was waiting at the doctor’s office. When I got home, it was lunch time, so I made some lunch. 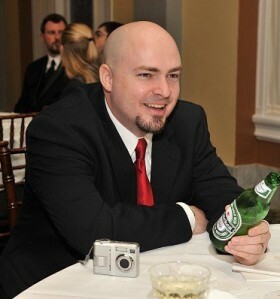 I then sat down in front of my PC, hooked up the NEO, opened up the entry form for the site and pressed Send. While I was eating, I got to watch as the NEO typed out my review. It types a little faster than I do – well, I probably beat it in raw typing speed, but it types at the same speed without stopping. And as it typed, I read. Because I could read comfortably and my eyes were incapable of glancing ahead (the NEO hadn’t typed it yet), this lead to more critical reading. It was as if I was reading someone else, not me. In addition to the editing, there was a certain… gravity? weight? added by watching the words type out. Something very satisfying. I’ve written a lot in my life, but when I’m done I’m always done, the writing just is. Watching the NEO re-type everything I’d written, it just adds a level of “I wrote that” pride that I didn’t have before. Another nicety, since this thing can’t do much more than write, I get more writing done. When I sit at a PC and write, if I have a question about what I’m writing, some detail, I’m tempted to Google it. Doing so often leads to a lost twenty or thirty (or more) minutes reading sites, checking emails, and doing stuff that isn’t writing. The NEO allows for much more focus on my writing. Sure, there are programs you can get to disable your Internet access, but as easy as it is to disable it can also just as easily be re-enabled. With the NEO there is no Internet access to enable. Anyway, I’ve written more in the last month than I did in the previous 5 or 6 before it. The freedom the NEO has given me is unparalleled. I can’t say I’d recommend the device to every writer, because every writer has their own style, but if you haven’t found a style that works best for you yet, I’d totally recommend giving one of these a shot. Buy one on eBay, and if it doesn’t work for you, sell it on eBay. I like to write. I hate to write sitting at my desk. I would love to be able to write anywhere. Being a left hander brought up in a school system that refused to teach left-handed writing styles, I have horrible form and it hurts to write manually for extended periods, which prevents me from using pen and paper for any long form writing. I love computers. I have a completely bizarre typing style that has developed over years that doesn’t result in any discomfort or carpel tunnel issues. And when I say write anywhere, I mean anywhere, including sitting on a beach in broad daylight. So, what I really need is essentially an eInk Kindle, in landscape mode, perhaps a slightly longer/wider screen, with an attached clamshell keyboard – a real keyword, for use with fingers not just thumbs. It could have wi-fi, but really only for some sort of wireless sync. All I need it to be able to do is create new document files, open existing document files, save files, delete files and support some form of hierarchy so that I can associate multiple documents to each other – such as chapters to a book – and see it visually. Something that simple, with no need for additional software and browsers and Internet and such, could run for hundreds of hours on a single charge, and being that the files are only text, a small amount of memory can go a very, very long way. I know these days people and companies are in love with multi-function devices. Phones that are also music players and cameras and PDAs and web browsers and email clients and so on and so on. But I still like my single function devices too. I like having a Zune for my music/podcasts and nothing else. I like having a Kindle for reading books. And I would love to have a device that is simply for writing and not for gaming and a million other functions. Looking around at other simple eInk tablets/readers that exist, I think this could be put together and sold for around $79, probably less, and at that price I’d buy one in a heartbeat. Unfortunately, I doubt such a thing would ever exist. It’s too simple, and whenever I bring up the idea to someone they always respond with either “Get a Tablet” or “Get a Netbook”. I have a netbook and a Kindle Fire, and neither of them are what I want – mostly because the screens are less than useful in sunlight, and the Fire lacks a full physical keyboard. Plus, the battery life on them both is terrible. 8 hours? Bah! I’d be happy to be wrong though. If there is an eInk document writer with a full keyboard, let me know. I’d be forever in your debt. The dead began to rise, and the rest descended into chaos. In the after, humanity returned to an oral history. Stories told by campfire and candlelight, to ward off the dark. Molly, her mother and a group of others had stumbled upon the warehouse. It was like a dream. Shelf after shelf, aisle after aisle of food and supplies tucked away in this nondescript little building. It did not appear guarded, but surely something like this was planned and whoever planned it would return. So rather than stay in the little warehouse, they cleared out an apartment building a few blocks away that gave them a clear view of the stock of goods. The group worked together, slowly clearing other nearby buildings, creating an intricate maze of pathways, bridges and ladders, from building to building leading from their chosen home to the warehouse. Each bridge, each ladder or swing, could be pulled up or disabled from either side and hidden, lest they giveaway their safe living to anyone passing through with ill intentions. But also they made sure not to do anything that drew attention to the warehouse itself. They always entered from the roof, and while they barred the ground level doors from the inside, they made no attempt to obscure any of them from the outside or to chain them or lock them with visible locks. The warehouse was made to simply look uninteresting, just as it was back when they almost passed it by. They limited their trips to the store of supplies, carrying as much as they could back to their apartment homes, but never so much as to make them slow when the world had become a place where quickness was most precious. A few days worth was all they could bring safely, and so they had to return every few days to get more.